designed for basic installations. Plus a perfect for all systems up to 1000 Watts. Relieves extra strain placed on the battery and alternator. 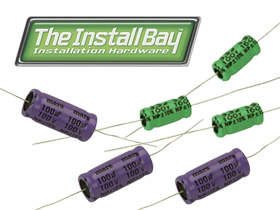 Choose Install Bay Capacitors for Car Audio Systems. Call us here at HalfpriceCarAudio.com online store and give us your beat offer.